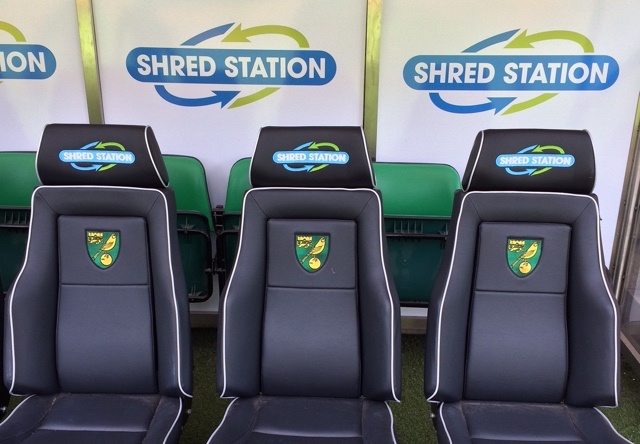 We have partnered with Norwich City FC for many years now and this season we are pleased to have our logo backing the team in the dugout. Our Managing Director, Simon Franklin, is a keen supporter of Norwich City FC along with many of the staff in our head office and depot in Norwich. This long-term relationship with the club has helped generate new business, not only as the official waste management partner for NCFC, but also winning contracts of other businesses linked with the club. Read more about advertising opportunities at NCFC. While the club may be entering a lower league for this season we want to continue our support, backing the team as much as possible in their new campaign to return to the Premier League. Along with sponsoring the club, we are also the official waste management supplier to Norwich City FC.